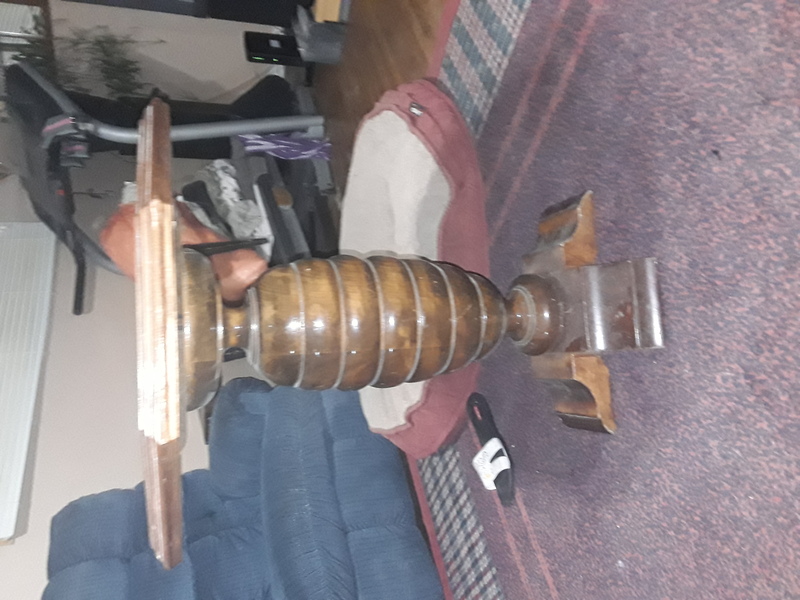 Antique End table Solid wood, Octagon top, the sticker on bottom of name of mark twain banks has me confused as well. 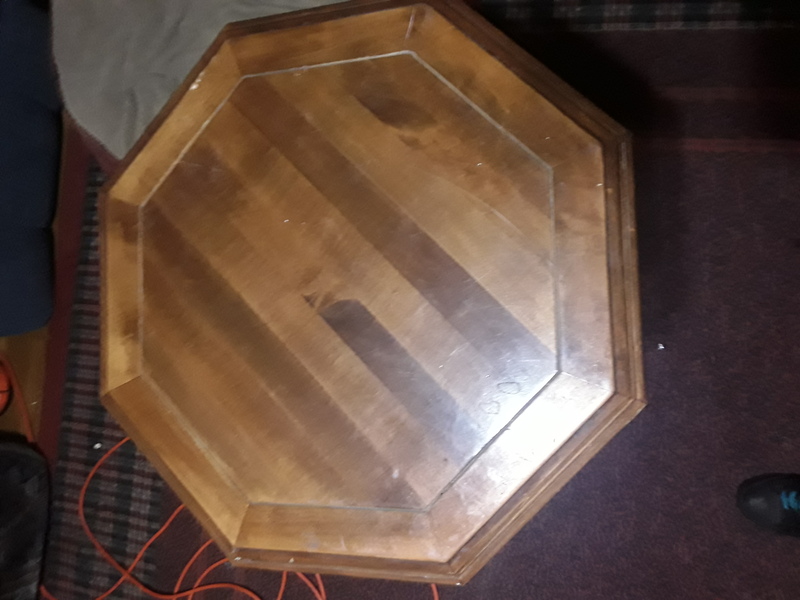 Based on the images and construction details, your table is not an antique, it's doubtful it predates World War Two. At auction comparable pieces now sell for under $100.00. 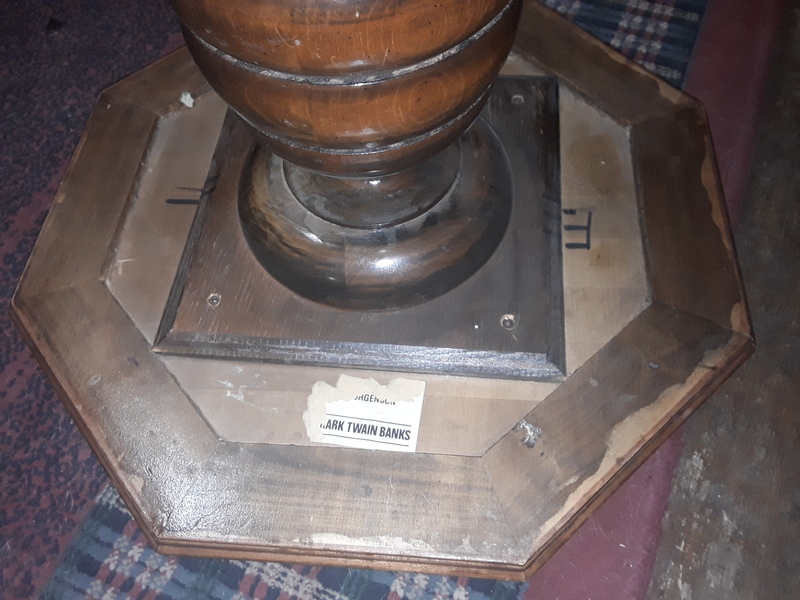 Mark Twains Bank operated until about 1997, this table was likely former property of the bank.